Have you ever wished you could watch a 1930s movie in the 1930s? 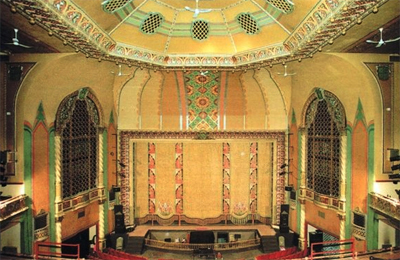 I kinda had that chance last weekend at CapitolFest, a weekend of silent films and early talkies screened at the old Capitol Theatre in Rome, N.Y. The 1788-seat movie palace looks much as it did when these films first flickered to life on its 20-by-40-foot screen, while the lively strains from the deco-style Möller organ welcomed well-dressed patrons to their seats for a Saturday-night date. For most of the movies during CapitolFest weekend, I sat downstairs, cocooned under the massive domed ceiling. But for one film, I sneaked up to the balcony. It just felt right somehow. 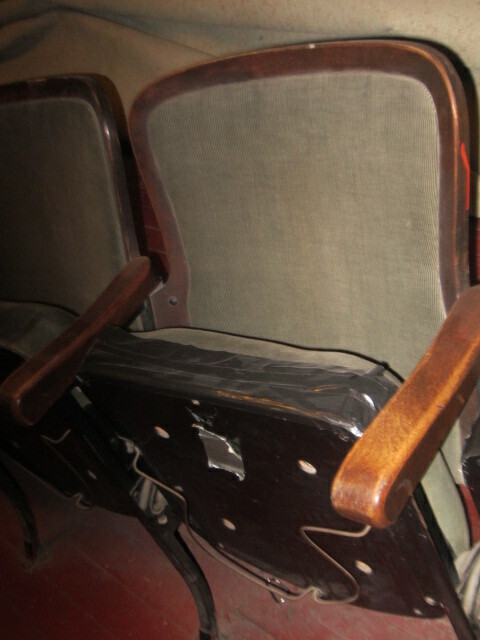 And while they’re doing a fabulous job renovating and restoring the entire place, a few old seats in the back of the theater were calling my name. And if anything was needed to make my trip back to the 1930s complete, this was it: there were metal braces to hold hats on the underside of the cushions. 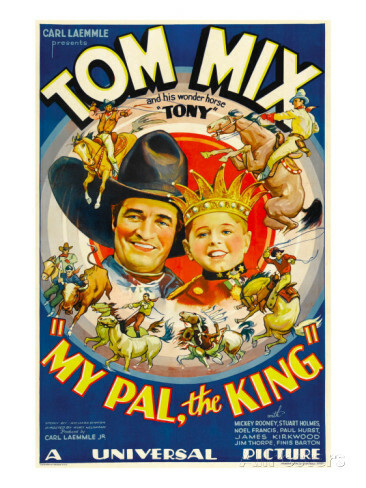 Onto the screen rode Tom Mix, co-starring with Mickey Rooney in Kurt Neumann’s My Pal the King (1932). Shot in just 12 days, this movies was way more fun that it had any right to be. I have to admit I’d never seen a Tom Mix movie, or any of the other old oaters. But boy, was he likeable. Already in his 50s by the time this was made, he was as sturdy, comfy and well broken in as an old rowboat. And just about as wooden. But his ropin’ and rasslin’ skills, and just plain aw-shucks-ness, more than made up for that. 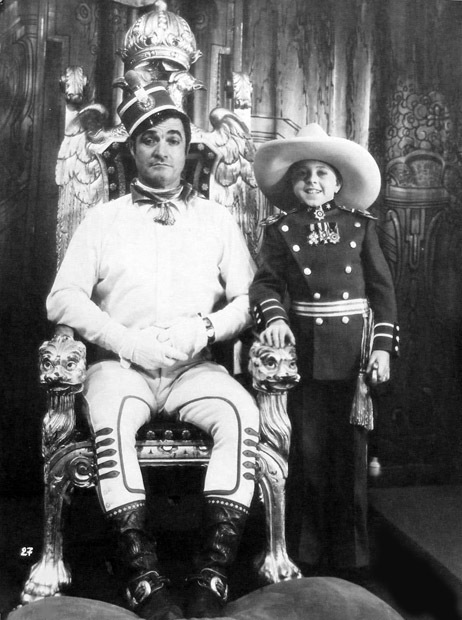 And Mickey, playing a boy king in one of his earliest full-feature roles, was just about the youngest and cutest I’ve ever seen him—12 going on four. In the film, Mickey plays 10-year-old King Charles, the royal head of a mythical European country. Lonely, bored, and eager to be a real kid, he sneaks away to the town square (the same one used earlier in Frankenstein, minus the villagers in lederhosen), where he spies a fabulous traveling Wild West show headed by cowboy Tom Reed (Mix). Charles then invites him to perform at the palace, where he becomes a much-needed counterweight to the graspers and schemers surrounding the boy—including the treacherous Count DeMar (you knew there’d be an evil count, right? ), played with moustache-twirling glee by James Kirkwood. Fearing that the cowboy is becoming too darn good an influence on Charles—who’s relying less and less on his official advisors—the count and his band of evildoers kidnap the king and imprison him in the dark, damp catacombs of the count’s castle, where steadily rising waters threaten to engulf him. Mercifully, the waters only rise until they get to his shoulders, and then pretty much stay there for 10 minutes or so until Tom rides to his rescue. Formulaic? Maybe. But thrilling? Oh my, yes! I suddenly realized for the first time what my Dad felt like when he ran around the corner to the Stanley Theater in Brooklyn as a kid, with a quarter in one hand and his eyeglasses in the other. What an evocative post…enlightening and hilarious as well. I’ve never seen a Tom Mix movie, but I will probably look this one up. Thank you, Janet. PS: There is really nothing like an old movie palace. Thank you so much for your kind words, Paula, and for letting me take part in the blogathon! I am so happy you and I found each other — true kindred spirits! And the next time we are in Detroit seeing Tim’s family, I cannot wait to see YOUR movie palace!! You’re welcome, likewise 🙂 That would be great, definitely do stop by! Our space is not quite so ornate but we’d love to have you. Great addition to the blogathon! Thanks for contributing. Is mY PAL THE KING film in Puiblic Domain..? I honestly don’t know, John, but if it is, YouTube is a good place to look.